Because of slow growth of global economy, the international trade competition become fiercer than last years, as well as the trade frictions. To improve the situation, the 114th Canton Fair adopted the policy of “keep the momentum and make progress, forge ahead and spur innovation”. Also, this fair ptimized its services and provided a sound negotiation environment for exhibitors and buyers. As a result, it achieved great success. Adhering to the advantage 114th Canton Fair, the 115th Canton Fair believe “KEEP YOUR EYES ON ME AND THE WORLD GOES AROUND”. 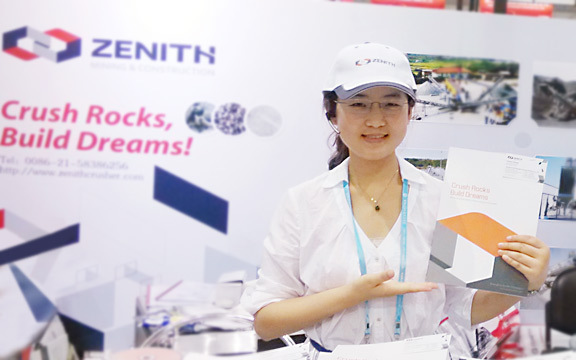 As the leading company in Chinese mining &construction industry, Zenith has the same faith with the 115th Canton Fair, “Keep your eyes on Zenith and the success goes around”. And our workers will show customers our latest technology and products in this fair, we warmly welcome your visit.